When it’s about investment, every investor look for different investment avenues park their funds and provide good returns, such as stocks, bonds, debentures, futures, options, swaps, and so on. While investing in stocks gives you an ownership interest in the company and also delineates clain in the company’s property and profits. On the flip side, investment in bonds is considered far much safer than stock because it gets priority in repayment. It is a debt instrument, which signifies money owed by the company to the investor, and is for a specific period. 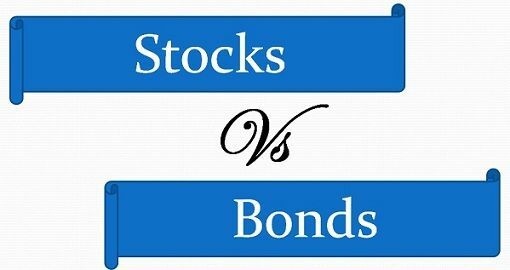 In order to decide which financial asset is better, to fulfill your financial needs and goals, along with providing additional benefits, you need to ascertain the difference between stocks and bonds. Meaning Stocks are the financial instrument that carries ownership interest, issued by the company in exchange for cash. Bonds are the debt instrument issued by the companies to raise capital with a promise to pay back the money after some time along with interest. Issued by Companies Government institutions, companies and financial institutions, etc. Status of holders Stockholders are the owners of the company. Bondholders are the lenders to the company. Add on benefits The holders get voting rights. The holders get preference at the time of repayment. Stocks are the financial asset, normally issued by the companies to raise capital from the general public. When a company offers stock, for sale, it sells the portion of its ownership for cash. Therefore, it represents the ownership of the holder in the company determined by the proportion of stock held by him. They are traded on a stock exchange. The stocks are divided into two categories equity stock and preference stock. At the time of winding up of the company, the company discharges all of its dues first and after that, the stockholders are paid off with the residual amount. Preferred stock holders get preference over common stockholders. A bond is a debt security, where the borrower promises to pay interest and principal at fixed intervals to the holder of the instrument. It represents the indebtedness of the issuing agency towards its holder. The concept of the bond is similar to an I owe you i.e. when you purchase bonds from any company; you are lending the money on which interest would be paid on specific periods. There is a contract between the parties that after a point of time the amount will be repaid along with interest. They are issued by several organisations. In India, central government, state government, local self-government, public sector establishments and private sector companies have the right to issue bonds. Bonds of the central government are known as Treasury bonds, which has a lock-in period of 20 years on which half yearly interest is paid. In the same manner, other organisations also issue bonds with different maturity period. The financial asset which holds ownership rights, issued by the company is known as Stocks. Bonds are the debt instrument issued by the companies to raise capital with a promise to pay back the money after some time along with interest. Stocks are issued by companies, whereas Bonds are issued by government institutions, companies and financial institutions, etc. Stocks are equity instruments, but bonds are debt instruments. The return on stocks is known as a dividend while interest is the return on debt.The return on the bond is guaranteed. Unlike stocks, whose return has no guarantee. The risk in stocks is higher than bonds. The owners of stocks are stockholders. Conversely, the holders of bonds are known as bondholders. The stock market has centralised trading. As opposed to bonds, where the trading is done Over the Counter. Stockholders are considered as the owners of the firm. On the other end, bond holders are the lenders to the firm. There is a buzz between these two financial assets. Both offer a good way to raise capital from the market. Frankly speaking, there is no comparison between these two. However, if you want to decide this post might prove helpful to you in understanding the differences.